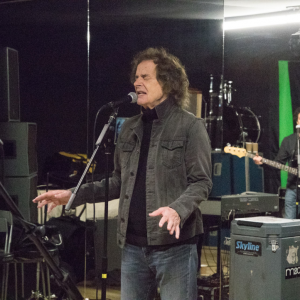 As singer with The Zombies and as a solo artist Colin Blunstone is widely regarded as one of the most unique pop vocalists to emerge from the ‘60s Beat scene. 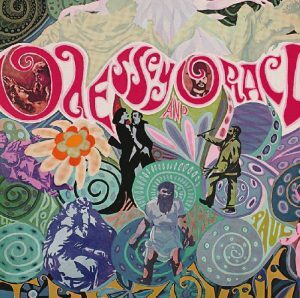 The Zombies 1968 album Odessey And Oracle is held in the same high regard as Ogden’s Nut Gone Flake or Piper At The Gates Of Dawn. In 2010 Paul Weller told BBC News, “It made a very, very big impression and it's still probably my all-time favourite record”. 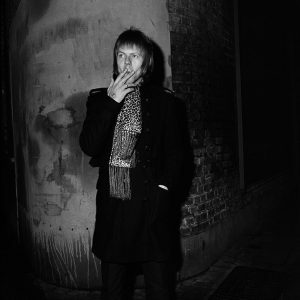 Tootal Blog met with Colin ahead of the Odessey And Oracle 50th anniversary concert at the London Palladium and his own solo UK tour. Tell us about your early pre-Zombies life. Your first recording contract arose from wining a local talent contest, is that right? At the grammar school we were sat in alphabetical order, I sat behind Paul Arnold, whose friend - Rod Argent - had seen local heroes The Bluetones and was bitten by the R&B bug. Paul said to me, “You’ve got a guitar, do you want to be in a band?” I was a little reluctant as I was really into sport. Still, we met Easter, 1961, outside The Blacksmiths Arms in St. Albans. Jim Rodford, Rod’s cousin, was bass player in The Bluetones and let us borrow their amps and drums and found us a place to rehearse. I thought we sounded quite good but Jim, who had stayed to watch, later confided he thought we had no chance. It’s a good job he didn’t hear our second rehearsal when we had to use our own gear. Then it was a long road around youth clubs, church halls, back rooms of pubs, etc. 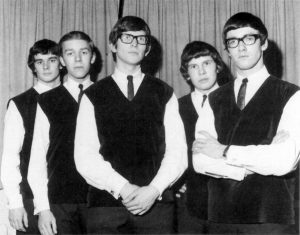 Spring 1964 we entered ‘Herts Beat’, a local band competition held at Watford Town Hall, where we won our heat and then the final. Around this time Paul Arnold left – he wanted to be, and in fact is, a doctor, now in Canada. He was replaced on bass by Chris White, whose uncle Ken Jones had a publishing company, Marquis Music. We signed with Marquis who in turn licensed our songs to Decca. When we went into the studio for our first session Ken said, “You can always write something yourself”. Rod’s contribution was ‘She’s Not There’, whilst Chris came up with the b-side, ‘You Make Me Feel So Good’. Your initial efforts as The Zombies seem to owe less of a debt to U.S. R&B than your contemporaries. Why was that? We discovered we had two prolific writers in the band; otherwise we would have just recorded R&B classics. We were learning on the job so that first album is a bit patchy. By 1967 both Chris and Rod were writing brilliant songs, and that all came together on Odessey And Oracle. Our first session at Decca was an evening booking and we worked all through the night. Unfortunately the recording engineer had been at a wedding all day. Not only was he paralytic but also he started getting more and more aggressive. After 20 minutes of this I was ready to give up but luckily he passed out, so we put him in a black cab and the tape operative, a young Gus Dudgeon, took over. Though image wise there seems little to differentiate you from other UK Beat groups of the time. 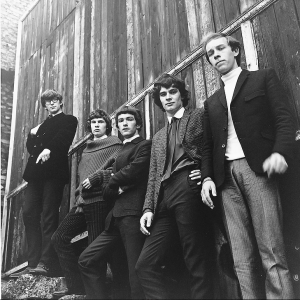 The Zombies: Rocking the Velveteen Jerkin look. We were 18 years old and didn’t know how the business worked. We went into the Decca press office and within 10 minutes they had contrived an image for us. They tried to project us as brainy, academic geeks. Our audience wanted brigands, pirates, dangerous people! There are some terrible pictures of us in sleeveless jerkins made of Velveteen. A friends mum made them for us, they cost less than £1 each. I don’t think our image ever recovered. By the time we got to the U.S. – as part of that first great ‘British Invasion’ - we were a bit more streetwise. In that first ‘60s phase of your career you only managed two albums in five years. That must have been frustrating? Albums were very much an afterthought; it was the era of the single. Odessey And Oracle spent one week at Number 98 in the Chart. It was only ten years later that we started to notice good write ups, and other artists started to cite it as an influence. Ironically there was no band by then. And now 50 years on there is obviously demand for Odessey And Oracle. Why do you think it has endured? The songwriting first and foremost, every song is a classic. The idea was that Rod and Chris would produce it so it would be the first time we got the sound we wanted. Geoff Emerick and Peter Vince at Abbey Road helped us achieve that. We followed The Beatles in there, they had just finished Sgt. Pepper’s Lonely Hearts Club Band, and so we used their mellotron and whatever percussion was lying around. Plus there were a lot of technological advances around this time. There is a timeless feel about the album but at the same time it is very representative of the Sixties. Eminem’s ‘Rhyme Or Reason’ samples ‘Time Of The Season’. He’s a genius; he turned it into a contemporary track. Your first solo album was released in 1971. The style seems at odds with the big albums of the day – The Who, Led Zeppelin, Rolling Stones, Jethro Tull, etc. We didn’t try to emulate the styles of the day; we were recording to please ourselves. It was the same with The Zombies, though One Year is almost The Zombies by another name. Rod and Chris produced it and wrote a few of the songs. Chris Gunning arranged the strings and came up with some incredible arrangements, like ‘Say You Don’t Mind’. We had done it with The Zombies as a rock track but Chris gave it that Bartok style arrangement. I played the first Electric Light Orchestra tour; the infamous Don Arden managed them. Besides ELO and my string quintet there were a few other bands on the tour. We did 30 dates and when we got to the end Don Arden said it hadn’t made any money and none of us were getting paid. In 1973 you get to play Top of the Pops, sandwiched between reggae star Dandy Livingstone and Pans People dancing to The Temptations. Were you keen to be a mainstream pop star? Around this time I started to find it very challenging to sing in tune. When you’re recording, particularly back then, you had to be pitch perfect but I was struggling. It’s only now that I’m starting to understand what had happened. When I was playing live I had no onstage foldback speakers to hear myself so I had to sing as loud as I could. That affected me for the next 15 years. I wasn’t until 1990 that my voice started to recover, to some extent. You’re back in the charts in 1981 with Dave Stewart but from mid ‘70s to mid ‘90s you seemed to become the “go to” featured vocalist. Did your own solo career take a back seat this time? Dave Stewart rang me. He had this track he was working on with Barbara Gaskin who, incidentally, went to the same primary school as me. The single – our version of what ‘Becomes Of The Broken Hearted’ – was out for about a year before it got anywhere. It was getting played on Radio 1 four or five times a day but it stalled at Number 120. Then Stiff Records licensed it and it we had a Top Twenty hit. We did record a couple more tracks together but Dave really wanted to work with Barbara, plus CBS were unhappy with me recording for Stiff and they sued me. I had been offered a big label deal with a name producer but CBS blocked it, that’s why I had to become a ‘voice for hire’. Then two weeks before I was due in court, Eric Woolfson, who was Alan Parsons’ partner in The Alan Parsons Project, he took Maurice Oberstein (Head of CBS) out to lunch and it was sorted. Eric wasn’t just a songwriter but a tough businessman too. Now you seem comfortable balancing the demand for The Zombies and making solo records. It actually worked out well for me. In the Nineties I was working with Don Airey, another great keyboard player. He rang me and said you really should get out there and play live. Don put a wonderful band together, we tried it and it worked but then Don moved on to his next project. This was about 1999. So, I rang Rod and he said, ‘Yes but I’ll only do the six dates you have booked’. And we’re still doing it now. Since then we’ve recorded three new Zombies albums, we have a full year of dates ahead of us and Odessey And Oracle just goes on and on. We’ve gone from playing small rooms in the back of pubs to Glastonbury and the Isle Of Wight Festival. I’m recording some new solo songs. It might be an album. It’s finished when it’s finished. It can’t be rushed. I don’t want to find that I’ve got to fill it with three sub-standard numbers just to finish it off and hit a deadline. My career couldn’t have worked out any better. As long as we are physically capable we will carry on. This entry was posted in Celebrity & Guest and tagged Music, Zombies, Colin Blunstone, Sixties, Beat, Odessey Oracle on August 31, 2017 by Michael Mulligan. What was the catalyst for this new compilation? 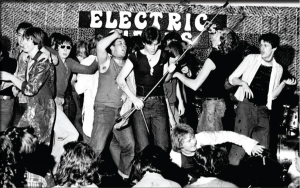 I present a Punk & New Wave show at [online station] Soho Radio every Tuesday afternoon. Jim Lahat, my musical better half and co-presenter, have been talking about doing this show for years. We had suggested it to a couple of radio stations – both national and local – but nobody went for it. Then I noticed that Eddie Piller and Chris Sullivan were on Soho Radio so we took the idea to them and they said, “Yes”. It’s a broad church – Punk, New Wave, and some Power Pop, a bit of Mod Revival, even a bit of Synth Pop. Then we took the idea of a compilation to Demon Music and they also said, “Yes”. The box set boasts a sticker stating “77 tracks of Punk, New Wave, Post Punk, Power Pop and Mod Revival”. For the uninitiated how would you explain the differences? That’s a tough one. What links them is the energy and vitality, that’s the easiest way I can answer. That’s the common thread. Jim Lahat has been so important to this project. He has amazing knowledge and a brilliant record collection. His taste goes really deep, mine’s a bit more mainstream. We both started with a “wish list” as long as our arms then we got it down to about 125 songs. A lot of the bands that I chose, I knew personally. When I was growing up in London one of my first jobs was office boy at Decca Records, then receptionist at the NME. I got to hear loads of new bands and I think it was my love and enthusiasm for groups like TV21 and The Nice Men that lead to Clive Banks signing them to his publishing company. It’s worth emphasising how important Peelie’s [the late John Peel] influence was. I’d be listening to his radio show every night in London whilst Jim, who grew up in Israel, would hear him on BFBS, the Forces network, or on his weekly BBC World Service show. This box set covers a pre-Google / pre-YouTube era - are you surprised at how quickly and how far this music spread? There was only a couple of outlets, both radio and print wise. We had the NME and Melody Maker but the impact was concerted. I don’t know how you would get maximum exposure now. Alan McGee told us it is more difficult than ever to break a new act because the market is so fragmented. 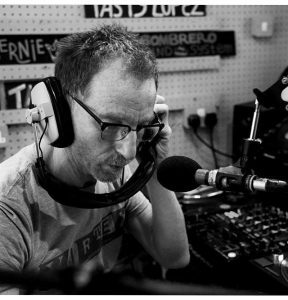 You’d listen to Peel, cassette in… he played that mix of Punk and New Wave and Mod Revival. That’s where I discovered bands like The Quads, The Modettes and The Only Ones. You have avoided the ‘usual suspects’ and shone a light on some less obvious bands. What informed your song selection? With our radio show it’s something we wanted to do from the off. We do play the Pistols, Buzzcocks, Generation X, of course, but we wanted to dig deeper. Jim has bought loads to the table. I’ve discovered so much, not least through our listeners. Some I just about remember from first time round. 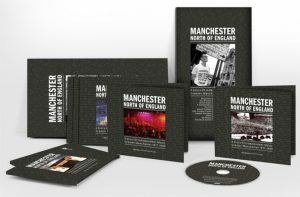 It has made it really interesting compiling the box set. There are a few curve balls on there. It’s an era when the single was still king and there’s such a great sense of melody there. Forty years on you are celebrating music that probably didn’t expect much more than a token 15 minutes of fame. Why do you think this music – and your passion for it – has endured? It all goes back to the melody and the energy. There was a time in the early ‘80s when I’d moved on. I was a sort of musical Zelig, moving on to the next big thing… providing it wasn’t Heavy Metal or Goth! The vitality has endured. You have to remember a lot of these bands were self-financed. The band made one record and disappeared but at least we still have that record to remember them by. Some of the bands we have featured have since got in touch and said they are so happy to be re-discovered. Are you still a collector of Punk & New Wave singles? I am but nothing compared to Jim – he has a music room you literally can’t get into! Without wanting to sound too cheesy, we’ve been bandying this project around for 15 years. Volunteers run Soho Radio, we don’t get paid for the show. 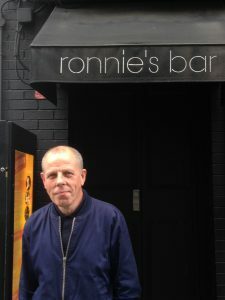 There’s a young guy works there who told me it’s lovely that there’s somewhere for us old boys to come and listen to our tunes! Do you see evidence of the Punk ethic today, either individual bands or record labels? Gary Crowley; He's been there, done that and bought the t-shirt. I do. As I said, the thing that springs out for me is how do bands make an impact when the market is so fragmented and there’s so much choice. The smartphone is a double-edged sword. It’s made it so easy to access music but the emotional investment has diminished. I do a show on BBC Radio London on a Saturday evening and I love to feature new bands on the BBC Music Introducing slot. Bands like Sister Ray or The Velvet Hands, who wouldn’t have sounded out of place in ’78, ’79. Moving onto the fashion of the day, do you remember the first time you were allowed to buy your own clothes? About ’75 / ’76 my auntie and uncle were into the Mod thing, so I had their influence, and I probably liked a couple of Led Zeppelin songs but when Punk came along I thought “Hang on! This is my time!” Back to the classic 7 inch single! You collaborated on designing a Desert Boot. 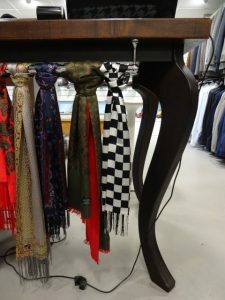 Any more ambitions for the style market? Well I’m not planning to open my own shop, if that’s what you mean, but it was great fun doing it. I don’t think Tootal need to worry. How would you describe your own style these days? Dress wise? Eclectic. 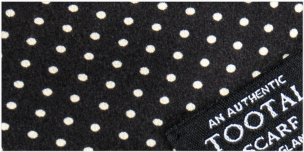 I sill love my clothes, the classic names but then I still love a good charity shop. 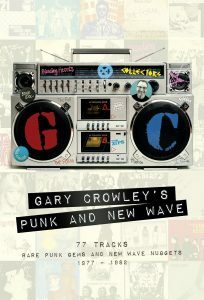 This entry was posted in Celebrity & Guest and tagged Music, Gary Crowley, Punk, New Wave, Radio on August 28, 2017 by Michael Mulligan. The earliest TSC songs are almost 35 years old. Why do you think they have endured? Partly because of the strong songs, partly because they didn’t follow production trends of the era. Plus we were in Solid Bond Studios. They had been the old Philips recording studios. Paul really liked them so when they came on the market John Weller enquired about them and Paul ended up buying them. It meant the meter wasn’t running, we were less phased by being in the studio and we could relax a bit. You always gave the impression that it was hugely enjoyable. What’s your lasting memory of it now? It WAS hugely enjoyable. There was a nice mood about the place. Particularly in the early days it was a liberation for Paul, and that trickled down to the rest of us. Plus we tried to treat it like a job, going in Monday to Friday. People were waiting for Paul to be spokesman for a generation but he just wanted to relax and enjoy making music. 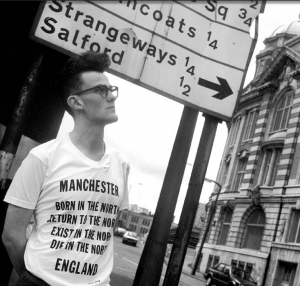 Do you recall your feelings when you learnt that 'Modernism: A New Decade' had been turned down by your record company? It was hugely disappointing. We believed in it, we’d put a lot into it but it didn’t get its chance in the world. Listening to it now it’s like a diary of where we were at that time. We had always planned to call it a day after that album but we thought we had another 18 months. We were going to tour the album, perhaps put a few more singles out but the record company decision accelerated the process. The 5 TSC studio LPS, plus the 'Introducing' compilation, are reissued on coloured vinyl. 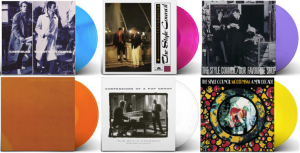 These latest reissues are coloured vinyl only, and proving hugely popular with The Style Council fanbase. Are you a vinyl enthusiast? My brother-in-law recently gave us an old Dansette style record player. It’s only mono but the sound is so different. Back in the Sixties when they were recording some of those classic soul albums they thought Stereo was a passing phase and the stereo mix of an album would just be an afterthought. I can’t say I play vinyl every day but I’ve certainly played more this year than in the last 8 or 9 years. 20 odd singles and 5 albums in six years, and each one seemed to arrive with a new wardrobe. An obvious question but did style go hand in hand with the music? Yes it did. When we first got together Paul and I had a lot of lengthy conversations about clothes, art, architecture, based on our common past. We were born in the same year, so we talked about things that had influenced us as kids, sartorially speaking. There were a couple of occasions when the video required us to wear something a bit different, just to support our silly story. I know some people made a fuss about our clothes at that last gig but we were open-minded. I think Paul called it his Acid Surf Mod look. I was wearing shorts with braces but I was embracing a certain era. There was still a bit of Ivy League in that look. 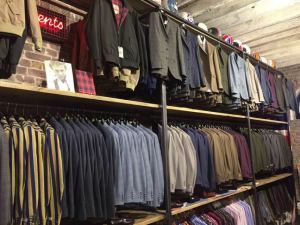 Do you recall the first time you were allowed to buy your own clothes? I think I do. I’d saved up for a pair of Chelsea Boots, either from Freeman Hardy & Willis or Saxone, one of those two. Around the same time I had a pair of loafers from Saxone called something like Wee Gee ‘Uns, obviously for copyright purposes. My Grandad gave me my first Tootal. 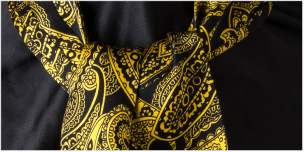 It was a mustard paisley. What’s great about them is they look equally good on a coal miner or someone going to a ball. They don’t look out of place on the terraces. 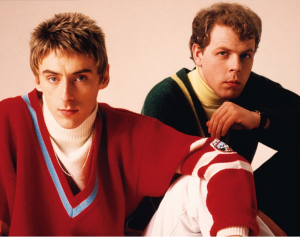 Paul Weller (L) and Mick Talbot, The Style Council, 1986. You’ve worked with some fantastic, talented musicians across your career. Is there anyone on a wish list you’d really like to work with? I’ve been fortunate in the last couple of years, I got to work with Roger Daltrey and more recently with Ray Davies. I got to play with a couple of The Faces – Ron Wood when I was playing with Jools Holland band, and Kenny Jones on a Small Faces tribute album. When we played one of our first gigs at Brockwell Park [May, 1983] we had a bit of a hostile reception from a small section of the crowd, so we did a runner. I was told later that Ronnie Lane was watching from the wings but I never got to meet him. Back in 1999, I was part of the house band for the National Lottery Show, Lulu was the presenter. One particular week Paul McCartney was the special guest but because he had just made a “back to basics” album of rock n’ roll songs he decided he only wanted an extra guitarist so I missed out again. I’ve worked in pick up bands, backing American soul singers when they come to tour the UK. I’ve backed The Velvelettes, Brenda Holloway, Candi Staton, Gwen McRae, Martha Reeves… even before I was in the Merton Parkas I can flashback to trying to play ‘Nowhere To Run’ at the Two Brewers pub in Clapham, and there I am years later playing with the woman who actually recorded it. Bizarre and enchanting. When I was working with Wilko Johnson  we were recording in a residential studio, trying to get the album done in five days. At breakfast one morning I told Wilko that one of my all time favourite gigs was the Dr. Feelgood Christmas gig at Hammersmith Palais in 1976. Wilko told me that was his last gig with the band. According to website Discogs.com you played on a Janet Jackson single. Is that right? It was a remix actually. 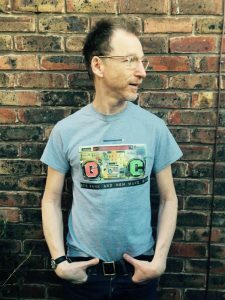 I used to do some work with a DJ called C J Mackintosh, who along with Dave Dorrell, was really big on the House Music scene back in the late Eighties / early Nineties. I worked on a Janet Jackson / Luther Vandross duet as well. I don’t think I always got credited. We’d do the graveyard shift at places like SARM East Studios. Go in after everyone else had finished, work ‘til six in the morning, then take my son to school. I believe the only time you’ve ever released a record as ‘Mick Talbot’ is a great instrumental ‘That Guy Called Pumpkin’, from 1990. Any particular reason for that? I’m not a singer, I just love great songs and great arrangements. When I worked with Candi Staton it was a real joy. I love all those old Fame Studio recordings. You listen to the arrangements on those old soul records and you imagine they are going to be very complicated but they are actually really simple, just very clever. I’ve been working on a new Roger Daltery solo album. He’s doing that and an autobiography though he told The Guardian newspaper neither of them might see the light of day. Hopefully there will be a new Wilko Johnson solo album soon. Jeremy Stacey has asked me to get involved in a new project he’s working on; he used to be drummer with Noel Gallagher’s High Flying Birds. It will be in a residential studio again, which I really enjoy as it’s a chance to get to know people. Our Favourite Shop and The Cost of Loving are available on Limited Edition coloured vinyl from 18 August. Confessions Of A Pop Group and Modernism: A New Decade are available from 15 September. Thanks to Mick Talbot, Johnny Chandler at Universal Music and Bar Italia. 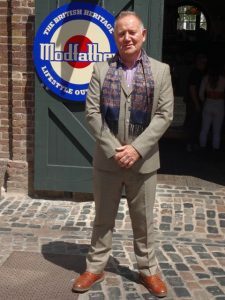 This entry was posted in Celebrity & Guest and tagged Music, Mick Talbot, The Style Council on August 15, 2017 by Michael Mulligan. 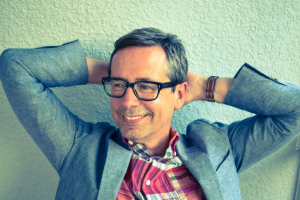 Tootal Blog caught up with Nick Heyward as he releases Woodland Echoes, his first solo album for 19 years. We discussed his inspirations, hiking boots and his love of a good strong cup of tea. It’s been nineteen years since your 1998 album The Apple Bed. What have you been doing with yourself? My last record label deal had run its course. Personally I was in a state of bliss. I wasn’t thinking about ‘Nick Heyward the recording artist’ in any way. It has been a long time, so much has happened. My parents passed away, I got through that, or I thought I was handling it but the truth is I wasn’t. All of that is in this album, or at least the last ten years is. Then the internet appeared and my son, Oli, said, “Here’s a MySpace page for you. Have fun”. Oli was really into his sound engineering. He gave me a laptop, some speakers and a microphone. I sat in our small bedroom with a guitar and Forest Of Love was one of the first things that came out. Even though the songs came quite easily it didn’t feel finished. People would tell me that will do, that’s good enough to be a Nick Heyward album but it’s not about the painter, it’s the painting. I’ve spent the last ten years colouring it in. Then one day a little voice inside me said “That’s it; it’s finished”. The time was right. At the same time there’s sense that this album could have followed straight on from The Apple Bed. Have you been storing songs up? I had about three million ideas I’d sung into my phone. They would come at the most inconvenient time. Always when I was in the garage, never when I was sat at home. When I started working with my friend [engineer and producer] Ian Shaw I told him to pick a song to work on. So, Ian said “I like Mountaintop” and we began there. Towards the end of making this record Oli had a job in a studio, so I saved up – I had a choice between buying some property or paying for this album - and Chris Sheldon gave the album the proper mix it deserved. As befits an album called Woodland Echoes it seems there is a pastarol theme running through the songs. 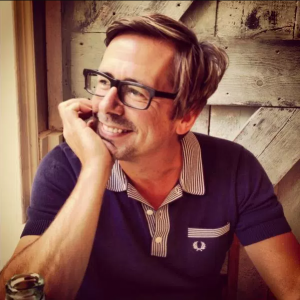 Nick Heyward, the 2017 model. I love nature but it wasn’t until one morning around the age of 37 that I really connected with it. I couldn’t believe how beautiful it was. This album was made by that same invisible force that makes nature. I’d be out for a walk, inspired by something I’d seen and my phone would help me create record sleeves. I’d take a picture and think, “That’s a 7 inch or that’s a 12 inch”. I’d put some type on it and think, “That would make a great record sleeve!” It was back to my commercial artist days. You give the impression you are a fan of classic Pop music. Well, I owe a big ‘thank you’ to the people that invented downloading and streaming because I can get my fix day or night, anytime, anywhere. When I listen to an album like [The Beatles] Revolver, it’s a template that works. You just have to let it come. I haven’t done a lot of consciously thinking about a song subject. I remember thinking can I make a pop song about nature? Things like my Dad passing are in there but it might be a small moment in a song like New Beginning, which is an instrumental. I notice it but others may not. There seems to be a strong affection for England that runs through your music. I’ve spent most of my life here; I love it. There’s something very comforting about the culture and surroundings. I love the sound of a village green, or a cricket match. It’s bound to come out in my songs somehow. I’ve spent some time elsewhere but this is my home. For the first time since I Love You Avenue (1988) you have an album available on vinyl. Are you pleased about that? When I made the record I was thinking “Album; Side One, Side Two; Twelve Songs”. I’m glad people are buying vinyl again. I’m buying vinyl again and I don’t even have a record player! When the recording was being mastered I said, “Please make this sound like a proper album”. Mindful it was made in a small bedroom with one microphone and two small speakers that’s a tall order. If your favourite albums were recorded by [Atlantic Records legend] Arif Mardin, with amazing musicians, in amazing studios how do you make it sound like that? So, that’s what I was aspiring to. Where does your record label name Gladsome Hawk come from? Sara, my lovely fiancée, was going thrifting in America. She’s from Minnesota but her heritage is Denmark and Finland. We decided to set up an Instagram page to show off all these finds and we decided to call it Gladsome Hawk. Sara used to have a record label – ‘The Indie Goddess’ I call her. Like me, she’s a lover of all things music. The record companies decided to pass on my new album, we decided to put it out on our own label and needed a name. So… ‘Gladsome Hawk’. It’s very “us”. You recently spent time filming a holiday programme for TV. Tell us more! 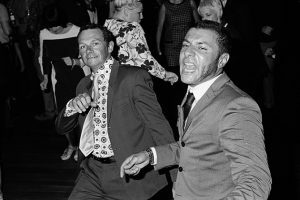 I spent two weeks in a camper van with Melvyn Hayes and Don Warrington. I’d look at Melvyn and think, “I used to watch you in It Ain’t Half Hot, Mum”! It was bonkers! I don’t know what it’s going to look like. I’d wake up every morning and make Melvyn tea and Bran Flakes. He called me Sunshine! He would talk about Chelsea and my Dad was a Chelsea supporter, so I’d close my eyes and it would take me back. It’s a long time since your ‘cricket jumper round the shoulders’ look. How would you describe your style these days? I’ve really got into outdoor gear, particularly since the camping programme. I’d be looking at all the old guys at these National Trust sites and thinking, “I really like his boots” or “I really like his backpack”. You go to a camping shop and you never look back. I had to do a TV interview with Sara Cox recently but I was so comfortable in my camping gear I thought I’d leave it on. If the occasion calls for it I’ll wear a tuxedo but… you know, horses for courses. Outdoor wear is definitely the current favourite. When I was a commercial artist my first pay cheque was £15. I saved up and bought some “trainer-ey” shoes; they were like white space shoes. They were £99, a lot of money but I had expensive tastes. Then I saw a guy who had similar shoes but with leather soles. Mine were rubber. I was so upset. I told myself I was never going to be in that situation again. Yours oldest records are 35 years old. Are you surprised they have endured and that there is still so much fondness for them? Not really because I know how meaningful these songs are to me. I totally understand; I totally get it. If I met a musician whose work I loved, I’d be the same. If these new songs become old songs and get invested with meaning I’ll understand it. There’s so many fond, nostalgic memories attached to those songs for me. Anyway, I don’t think of them as old songs, they are songs that happened in my lifetime. Everything can’t happen at once and they happened first. You once said your dream was to reunite all six members of Haircut 100 at Chalk Farm Roundhouse. How close is that to coming to fruition? It’s all about trying to get six people to want the same thing at the same time. For me it’s easy; “Where’s the gig? I’m there!” I loved what we had but there’s a reason some bands – Duran Duran or U2, for example – stay together and others don’t. If someone asked you “Do you want to meet up with your ex-wife?” you might like to catch up for an afternoon but not spend the next three months or a year with them. 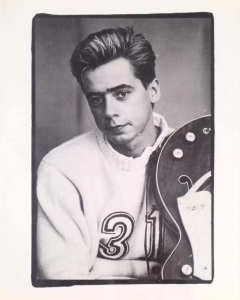 Your website shop has ‘Nick Heyward Tea’. Discuss. Maybe one day I’ll have my own shop – 'Tea & Vinyl'. With thanks to Nick Heyward and Joe Stopps. 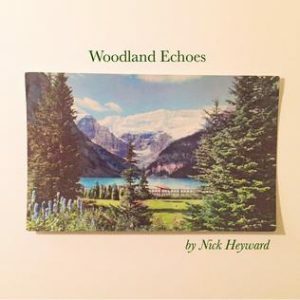 This entry was posted in Celebrity & Guest and tagged Music, Nick Heyward, Haircut 100, Woodland Echoes on August 10, 2017 by Michael Mulligan. 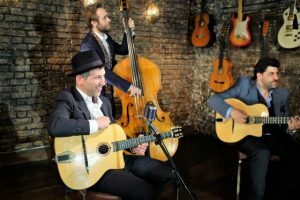 We caught up with Ducato and Simon from “Gypsy Jazz” outfit Trio Manouche, to learn all about the roots of this fascinating music, and how the look is just as important as the sound. Tell us a little about Trio Manouche. Simon: My background is Blues and Classical but as a songwriter and guitarist I became fascinated by the Jazz Manouche style, made popular by Django Reinhardt in the Thirties. I was really smitten by his talent and his technique. Luckily I met Ducato, or “The Professor”, a real authority on this style of music. He became my mentor and introduced me to a wealth of Manouche tradition and style. Ducato: When I met Simon the trio already existed though musically I would say they were more Blues influenced, but we searched for a style that plays to all of our strengths. We forged a unique musical identity, though in all honesty Django was always the main guy. For us he is the Elvis Presley or Bob Marley of Jazz and Swing. We write originals together, we interpret the standards, and sometimes we might bring some guest musicians in – whatever it takes to keep this real music alive. 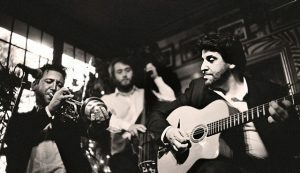 Trio Manouche in the swing. Ducato: Manouche is a term for Romani people in France, who trace their family roots back to Germany, Italy or – like Django – Belgium. You might use it as a form of address, “Hey, Manouche!” Musically it was a marriage of the Gypsy guitar style and Swing Jazz popular in Paris between the wars. Django was a unique guitar player, he had a dream. When he walked into a basement club and heard the violinist Stéphane Grappelli, the dream became a reality. And how do you keep this music alive? Ducato: As a trio we have a solid musical identity and because we are so comfortable with it we can go on diversions, add some variety. Sometimes it’s just for fun and other times it introduces a brand new influence. When we played in Cannes the film festival was on so we played Gypsy Jazz arrangements of James Bond themes. Trio Manouche putting on the style. You have a strong image. How would you describe your style? Simon: Well, we take pride in our image, and we want to do justice to the look as well as the music. It’s a little bit different; it is classy but not contrived. I think our image says we care about what we do. Ducato: And it’s practical. 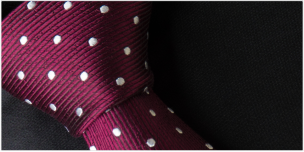 If the occasion calls for a suit, a cravat, no problem as long as we can play and enjoy ourselves. But, yes, our clothes make a statement about us. What’s next for Trio Manouche? Simon: We’ve just finished a video and we have plans for some exciting new collaborations, but ultimately we want to spread the Manouche style to a much bigger audience. And here is that new video. With thanks to Simon Harris, Ducato Piortrowski and Live Music International. This entry was posted in Celebrity & Guest and tagged Music, Trio Manouche on August 7, 2017 by Michael Mulligan. 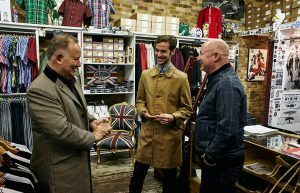 At the Subculture Archive in Carnaby Street, London, we caught up with photographer Owen Harvey. With the paint barely dry on the gallery walls, and the last black and white print only just hung we adjourned to a nearby café for tea. I’m 27 years old, I grew up in Watford, Hertfordshire, and I’ve been taking photographs for about 7 years now. I had previously been playing in a rock band, did a few tours, played some festivals. It had got to a point where I wanted to do something different. I decided to go to college in part to avoid a routine “9 to 5” job. Photography seemed like a good option and though I didn’t know much about it I met some photographers who got me really excited. I knew I was hooked when my passion for it grew equal to my love of music. 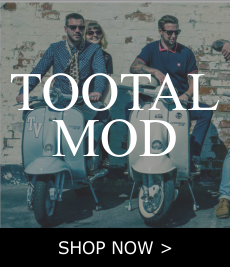 You previously exhibited at the Punk London Group Show, had a solo show with your photos of Skinheads & Suedeheads, now Mod. Why are Youth Cultures such an attractive subject for you? I get quite obsessive about things. As a kid I would play guitar for 6 or 7 hours a day but it wasn’t enough just to learn the tunes, I wanted to know as much as possible about the groups that made them. That lead me to delve deeper into things like politics and class, and to think about how these movements fitted in. These people have an energy, be it the clothes or the music, and I’m an excessive person so I appreciate that. Plus I’m just interested in people. I’m a nosey person. Photography is a passport into other people’s lives. 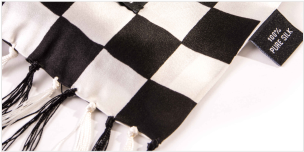 For this Mod UK show you chose to work entirely in Black & White. What is the reason for that? This has been a long-term project, five years so far and it might go on five more. It’s got a special place in my heart. I’ve got very close to some of the subjects and they invest so much time and effort into their style. 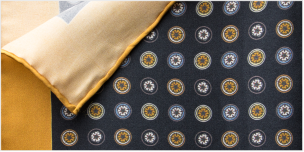 They understand the heritage, the roots in Fifties Jazz and Italian styling. I wanted these images to be timeless. Have you reached any conclusions as to why people align themselves with Youth Cultures? 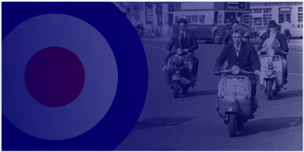 In the case of Mod I think it is looking like you own the world when your bank balance doesn’t necessarily reflect it. Understanding the value and the tradition of what you have. 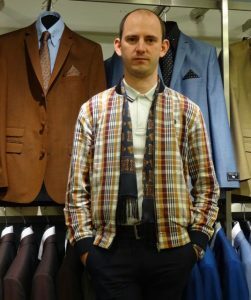 Why do you think the Mod style in particular has endured? Some of the young people I photograph now don’t consider themselves part of a revival. They spend so much time searching for the exact cloth or the exact haircut but they feel the whole point of Modernism is to adapt to the here and now. Plus the music, the nights, the people – modern fashion takes regularly cues from it. 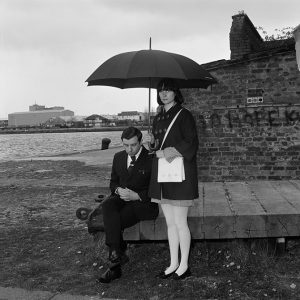 Mod is a fully formed style rather than just a passing fashion and that’s why it stands the test of time. I’ve just finished photographing the Low Riders in America. It’s a subculture with big Mexican / Latino heritage so it seems very relevant at this time. 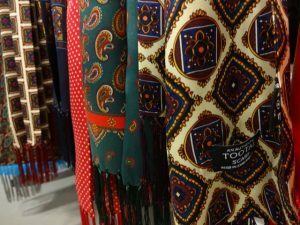 Owen Harvey: Mod UK is at The Subculture Archives, 3 Carnaby Street, London W1F 9QG, and runs until Thursday September 3rd. This entry was posted in Celebrity & Guest on July 27, 2017 by Michael Mulligan.